I’d arrived at the Artists Thrive Summit in Kentucky, and I was installed in a plaza behind Berea College. As I was getting set for visitors, along walked a young woman named Samantha Shepherd. "What is this?" she exclaimed walking into the camper trailer... apparently she loves vintage as much as I do! Samantha is known as "Miss Monogram", she and her husband Dustin run that shop in Richmond KY and their new location "The White Stitch" just opened in Berea. Samantha and her husband Dustin grew up in two different worlds that have threaded themselves together. Samantha is the front end of Miss Monogram and The White Stitch, she’s the creative eye, the one who comes up with ideas and quotes the custom work. Samantha grew up in a dry cleaning business, and one day her dad brought home an embroidery machine. As a young mother she patched together enough of her embroidery work to start her own creative business. Dustin is the back end, the finance, the sourcing. Dustin’s experience as a business partner at a liquor store chain taught him a great deal about teamwork and working through frustrations. You’ll hear how he’s financing the second store and dealing with blatant rip-offs of Samantha’ designs. Two very fine young Kentuckians and I’m ecstatic that they’ve woven their talents together. This episode talks a lot about the balancing act that we see in a two person creative business. 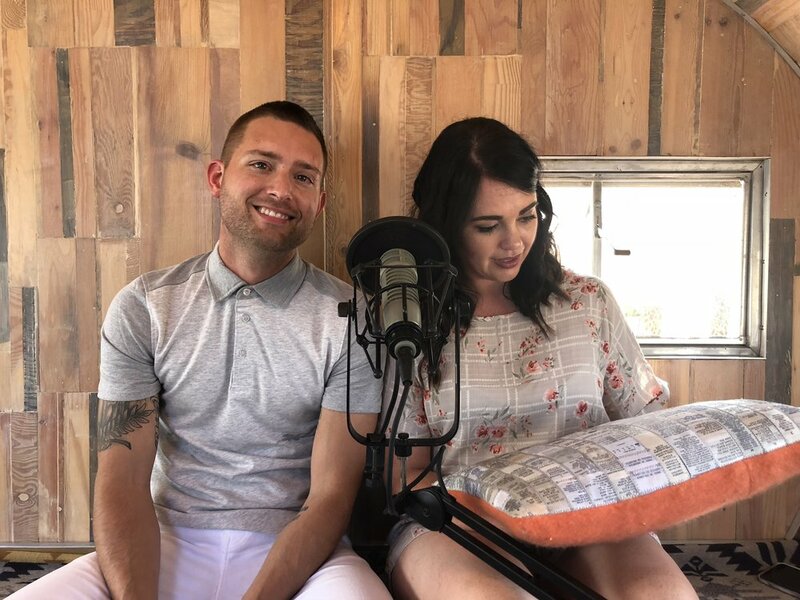 You can hear how Samantha and Dustin have different visions, and together they create a more comprehensive balanced business. I think my two favorite quotes in this podcast are “I work so hard to be different” and “No matter how big we grow we want it to feel like a small business”. That really sums up their ethos, be different, keep growing, never lose touch.